Read this guide if you want to treat yourself with desserts in Rome as a local would do, from gelato to cornetto at night and back. You may have heard that Italians enjoy good eating. You may have entered an Italian restaurant, looked at the menu, and gotten a general idea of what Italians eat. 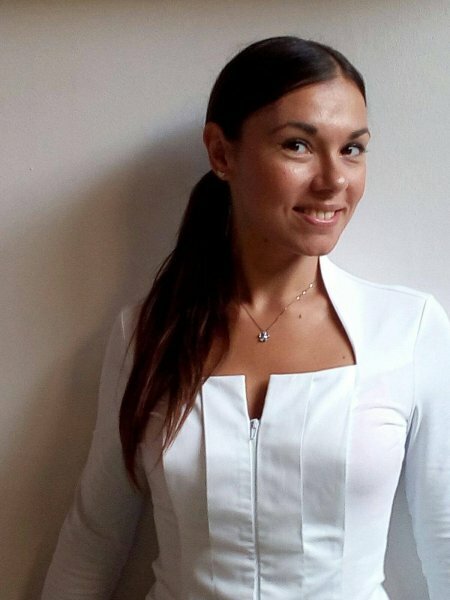 But as you start exploring our culture on your trip to, let’s say, Rome, you will also start noticing a few things about Italians’ eating habits from the privileged angle of the “outsider”. You will start thinking that Italians love sweet food. That they love sweets desperately. Born and bred in Rome, I did not perceive this for a long time. But after I had lived for years in another country and returned home, this fact which we Romans take for granted became clear to me. Let me tell you about our sweet world, from breakfast ‘til bedtime, as I’ve learned it in my hometown. Please do a conscious use of this info: sugar is not healthy for your body. Be prepared for the wave of sweets that will assail you. Tips for vegans in this post. !!! Vegan tribe, attention: cornetto might contain animal products. Ask for cornetto vegano at the counter!!! 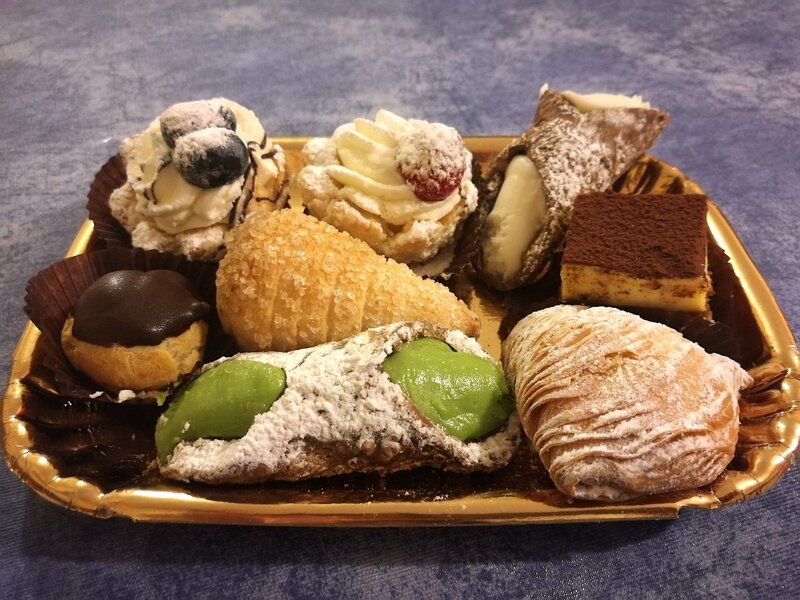 Italians love to indulge in sweet delicacies as a respectable end to the main meals of the day, especially during weekends, when we have more time for lunch and dinner. The traditional desserts that come after a meal in the restaurants and in the houses of contemporary Romans are: crostata (pies filled with jams/chocolate cream), torta della nonna (shortcake pastry filled with custard and covered with confectioner’s sugar), millefoglie (layers of puffed pastry, containing custard or whipped cream), panna cotta (cream, milk and gelatin simmered together and refrigerated, served with creams of choice), and the world-renowned tiramisu. You’ll find all of these treats and many more in the shops with “pasticceria” on the sign. Visit one of the hundreds of pasticcerias if you get invited to lunch or dinner at an Italian family’s house and you feel like bringing something (usually, we do). Something that would be really perfect for the occasion is pastarelle mignon, which are a selection of mixed pastries. The price is calculated by weight. Choose the cardboard tray size that suits you and let the shop assistant fill it with as many as you want: the result is a sweet gift package full of colorful pastarelle! Italians don’t use two different words for gelato and ice-cream: it’s all gelato to us, and any moment of the day is time for gelato during the warm seasons. It would be very difficult to find a gelateria (a shop specializing in ice cream/gelato) that doesn’t make amazingly yummy gelato in Rome. What makes the difference is the quality of the products used, the friendliness of the staff and the location. I’m ready to share with you three of my favourite gelaterias in the capital city of Italy. 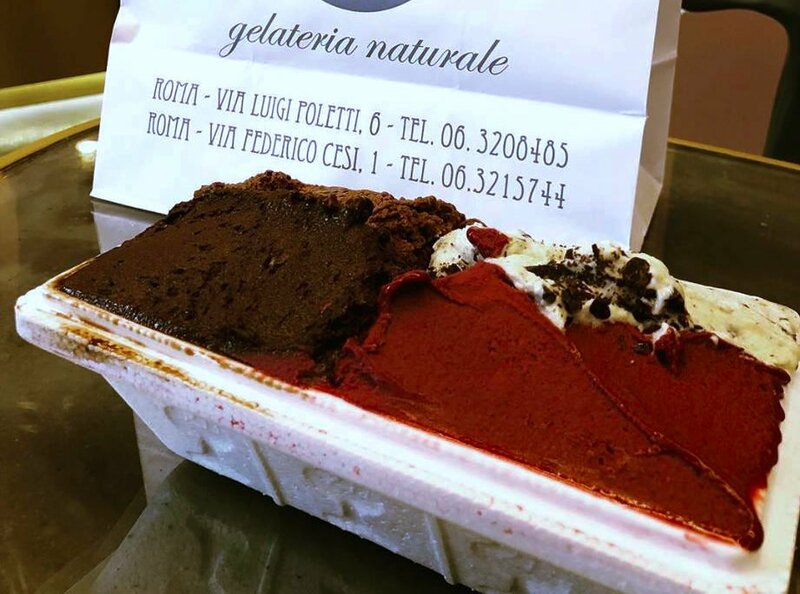 This gelateria has been delighting the palates of Romans and visitors alike for more than 30 years. Only a few minutes from Saint Peter’s Cathedral and from the Vatican Museums, it’s delicious gelato and yogurt are reason enough to wait 20 minutes in line. You can find a list of flavours here. The Gelateria Old Bridge has a second shop in the Trastevere district at Via della Scala 70. The Gelateria Neve di Latte is located a few minutes away from Castel Sant’Angelo at Via Federico Cesi, 1. They use milk from the Alps and organic Mascobado cane sugar in producing their gelato. Some of the flavours you’ll find in this gelateria are made with famous local products like pistacchio di Bronte (pistachio nut from Bronte) and nocciola del Viterbese (hazelnut from Viterbo). Be sure to try the mora (blackberry) if you pay a visit there during the summer season. Their gelato is slightly more expensive than the average. The Gelateria Fassi’s history started back in 1880 and recounts the deeds of 5 generations of gelato makers. Roughly a 15-minute walk from the main train station in a cross street from the Piazza Vittorio Square, you can get there on the A-line subway (MA). I like this gelateria because it has many, many flavours to choose from and a nice big room where you can sit and enjoy their gelato. When you have made up your mind about the flavors you want for your gelato, it’s time to choose between the cono (different sizes, basic one gets two scoops) and the coppetta (cup). When your gelato is ready, the staff ask you if you’d like some panna (whipped cream) on top, for free in the ice cream shops highlighted here. Did you know that you can also buy gelato by weight and and take it home in special gelato boxes? Those are perfect to carry as present at your Italian friend’s houses! Ask how much the gelato costs per kilo at the counter. Did you know that many gelaterias produce vegan gelato? Ask the staff! And keep reading here for gelaterias that offer 100% vegan products. You’ll find the shops that offer gelato and other products 100% vegan in Rome here. The Roman grattachecca is a soft drink of snow-like ground ice, fruity syrups, and pieces of fresh fruit. The grattachecca is very sweet and refreshing. You can find the basic version at the typical drink carts in the historical center, but Romans’ favourite is: La Grattachecca della Sora Maria (Mrs. Maria´s grattachecca), a stand at Via Trionfale 37 (Vatican area). Opens only afternoon and evening after 3pm. This sweet treat with a French name is highly popular among Romans, and Italians in general. It’s a soft pastry cooked on a scorching grill and topped with sweet or savoury ingredients of your choice. 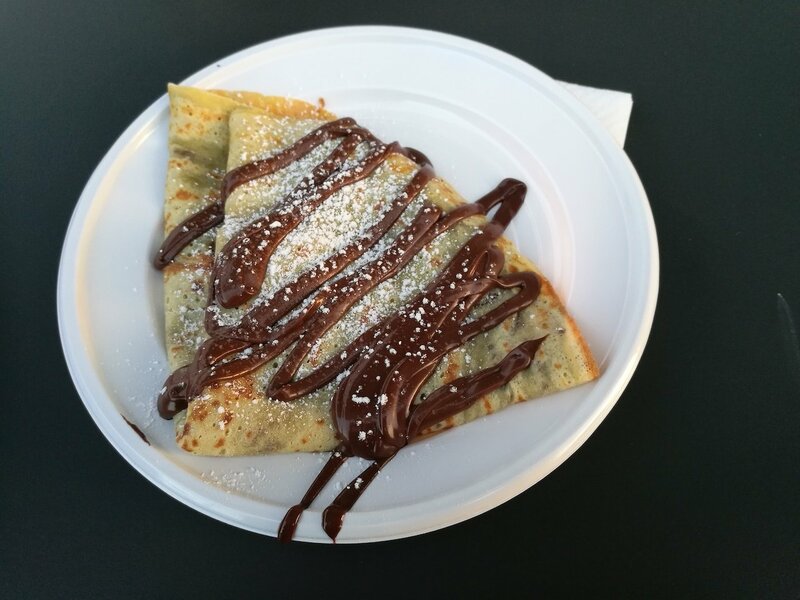 The most famous is the one with cacao and nut cream, crepe alla nutella. Try the crepes of Creperia Michelangelo at Via dei Bastioni di Michelangelo 3 if you are near the Vatican, or of La Creperia in the University district at Via dei Volsci 101, if you are near Termini central train station. As a perfect end to a late movie or a night out dancing, Romans love to have a sweet snack again in the breakfast style, as if it was morning already. Some coffee shops or bakeries stay open at night to provide cornettos and other typical desserts. 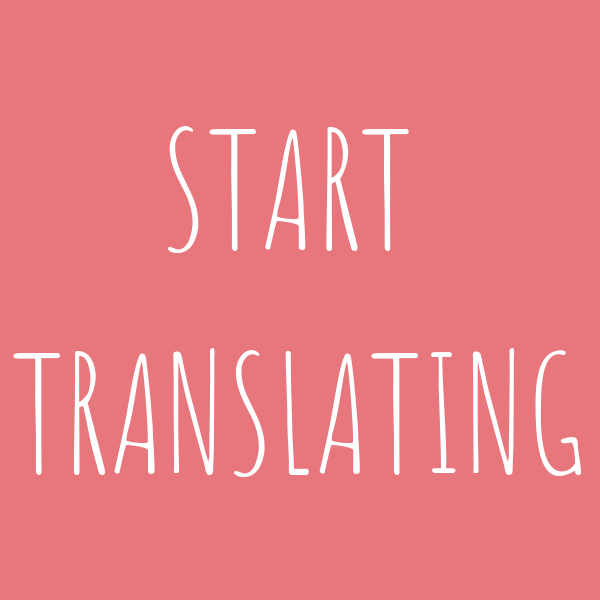 Thanks for reading this guide! 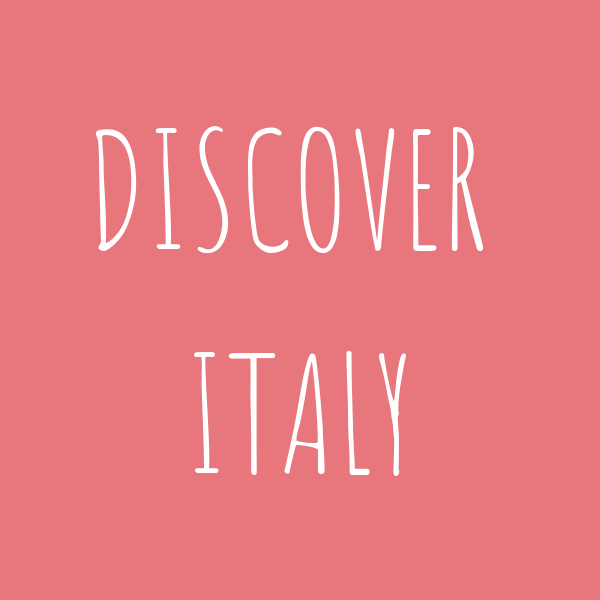 Feel free to connect for travel tips for Rome and Italy. I will definitely check these out when I go to Rome! Thank you so much ? This made be so hungry reading this!! Loved it! These look soo delicous, would love to have some gelato right now! I htink I ate gelato every day, sometimes twice a day, when I was in Italy. Yum!